As an undergrad at the University of Michigan, I loved walking around the Law Quad's grounds, studying in its reading room or picking a spot on the grass and reading a good book. 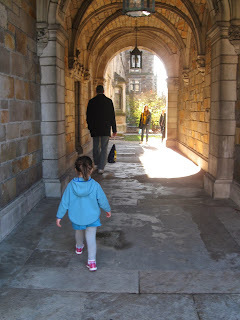 Whenever I return to Ann Arbor, I try to take one more walk through the grounds to view the beautiful architecture. The Law Quad includes the five buildings built between 1922 and 1933 and the Smith Library addition that was completed in 1981. The architecture is modeled on the Gothic styles of Oxford and Cambridge Universities in England and the Inns of Court of London. 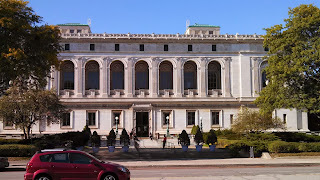 Directly across Woodward Avenue from the Detroit Institute of Arts sits the main branch of the Detroit Public Library. Originally built in 1921, the library added two wings in 1963. Cass Gilbert, who designed the U.S. Supreme Court, was the principal architect of the Detroit Public Library. 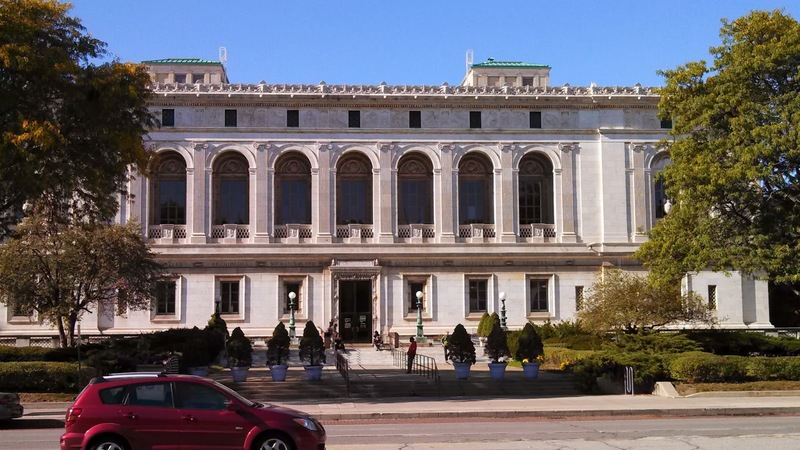 The branch houses the administrative offices of the Detroit library system as well as serving as a library branch. Free tours of the library's art, architecture and collections are held on limited Saturdays throughout the year. For more information, click here. Saginaw Valley State University's Marshall M. Fredericks Sculpture Museum is open Monday through Saturday. The museum is dedicated to the works of Marshall Fredericks, a preeminent architect of the twentieth century, whose works include the Spirit of Detroit. The main exhibit gallery hosts more than 200 works from Fredericks. The museum also has the Sculptor's Studio, a collection of models and tools from Fredericks' home studio, and his archives consisting of letters, drawings and other documents. Lower Peninsula residents who want a quick trip to the U.P. should consider visiting the Les Cheneaux Islands. The islands' proximity to the Mackinac Bridge and their wide variety of outdoor activities and lodging options make them an ideal locale for a quick weekend getaway. Trips to the Les Cheneaux Islands are some of my fondest childhood memories. The communities of Hessel and Cedarville offer boating marinas and shops for visitors to the islands. Hessel has hosted the world's largest antique wooden boat show, the Les Cheneaux Islands Antique Boat Show & Festival of the Arts, on the second Saturday of August since 1976. Mackinac Island is Michigan's most famous island. It is located in the eastern end of the Straights of Mackinac in Lake Huron. Visitors can reach the island by private boat, small aircraft or ferry service from St. Ignace in the Upper Peninsula or Mackinaw City in the Lower Peninsula. The island does not allow cars on its streets, so visitors must travel by foot, bicycle or horse-drawn carriages. The island is most famous for its beautiful Victorian-style Grand Hotel and its Mackinac Island fudge. In addition to its tours of the Fisher Building, Pure Detroit also offers tours of Detroit's Cathedral of Finance, the Guardian Building. The Guardian Building is a beautiful building and has always been my favorite of the Detroit skyline. 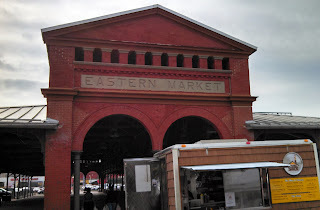 The Art Deco building is as beautiful on the inside as the outside, and I am looking forward to taking the tour someday, especially after reading a review by the blog Mitten History. For Mitten History's review of the tour with photos of the building's beautiful interior, click here. Grand Rapids hosts the ArtPrize competition every year in late September and early October. The international competition had more than 1,500 entries in 2013. ArtPrize includes a traditional juried competition as well as the main event voted on by the public with a grand prize of $200,000. The Detroit Red Wings will soon move to a new arena after calling Joe Louis Arena their home for more than 30 years. It may not be as revered as the old Olympia Stadium was, but the Red Wings did win four of their eleven Stanley Cup championships during their years at the Joe. Go to the Joe while you still can! Yes, you can find just about any new book you want on Amazon, but you cannot pick up a book and hold it. You cannot smell the worn paper of a used book or have a real conversation with a bookseller online. The best independent bookstores are museums to the written word where you could spend a day wandering the shelves. 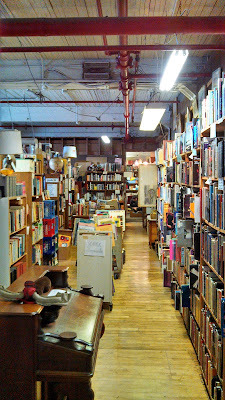 My new favorite used bookstore is John K. King Books in Detroit, which I visited for the first time in October. 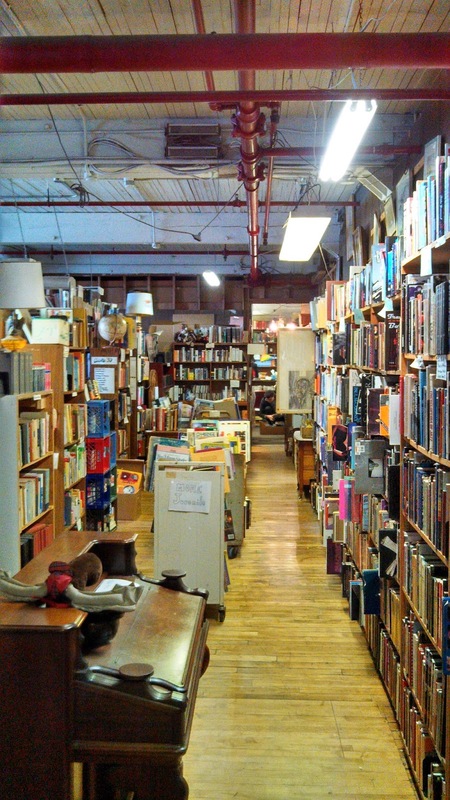 It is Michigan's largest used bookstore where it's possible to spend a whole day perusing its titles. Support your local booksellers and visit an independent Michigan bookstore. Founded in 1668, Sault Ste. Marie is the oldest city in Michigan and home to the Soo Locks. The locks connect Lake Superior to Lake Huron. Ships rise and fall 21 feet while traveling through the locks. They are the busiest locks in the world with approximately 10,000 ships traveling through per year despite being inoperable during the winter. With four Great Lakes, Michigan is home to many beautiful sunrises and sunsets. Why not catch both on the same day? Catch a sunrise on Lake Huron's Sunrise Coast and then drive across the Mitten to Leland, Michigan, to catch a sunset on Lake Michigan. USA Today recently named Leland the second best place to watch a sunset in the United States. It is about a three to three-and-a-half hour drive from Lake Huron to Leland, making it easy to catch a sunrise and sunset in the same day. The University of Michigan's Nichols Arboretum ("the Arb") is a great place to go for a stroll or a run when in Ann Arbor, but it also serves as a stage for Shakespeare's plays. Since 2001, Michigan's Residential College produces one Shakespeare play with performances over three weekends each June. The actors move through the Arb and use different locations to change scenes. The audience follows along with blankets or lawn chairs to sit on while enjoying the Bard's words. Founded in 2012, Shakespeare in Detroit is a newcomer to Michigan's Shakespeare scene. Last August, the company performed Shakespeare in Grand Circus Park in Detroit. 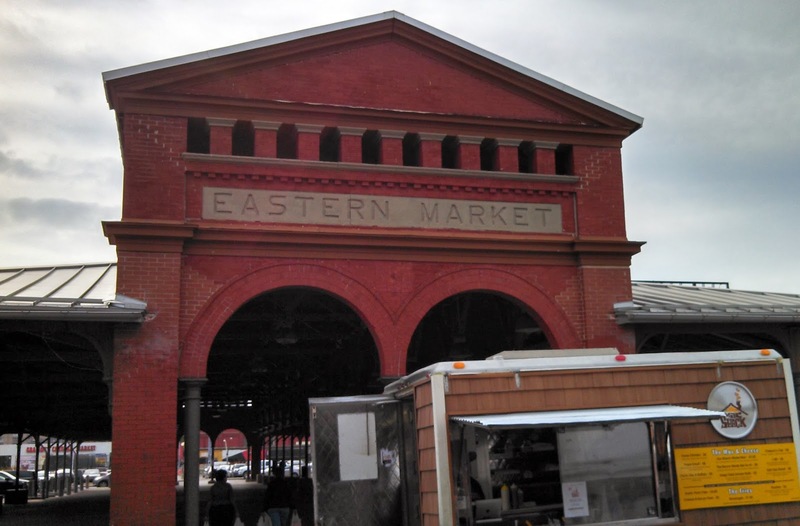 The company hoped to produce three plays in 2014 but could not raise the necessary funds. However, the show must go on, and Shakespeare in Detroit will be back with at least one play, Anthony and Cleopatra, in March. From the Indiana border to the Straights of Mackinac, the shores of Lake Michigan offer a multitude of beaches for Michiganders to take a swim. The beautiful beaches not only offer swimming but also surfing at times. Plus, you can swim without the worrying about sharks. If it is too cold to swim, go outside and sled. If your neighborhood is flat, drive to the closest hills and take several runs on a wooden toboggan or a plastic sled. Some of my best childhood memories involved trekking up the hills in my neighborhood to make multiple runs downhill. When Michigan became a state in 1837, it gave up its claim for a strip of land including Toledo in exchange for the western half of the Upper Peninsula. At the time, Michigan felt like it got a raw deal, but it soon discovered that the U.P. was rich with natural resources, including copper. The Quincy Mine in Hancock offers guided tours of an actual copper mine. Michigan has more lighthouses than any other state. 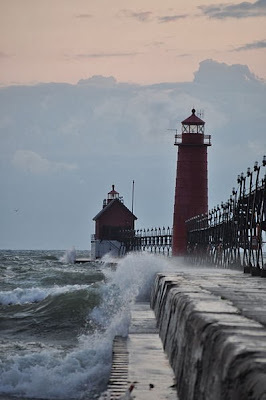 Grand Haven's Lighthouse on Lake Michigan offers wonderful sunsets and a long pier for visitors to walk along. The Grand Haven Lighthouse Conservancy is making efforts to preserve the lighthouse so that future generations can connect with the maritime history of Grand Haven. The Huron Shores Heritage Route begins in Standish and ends in the Straights of Mackinac. 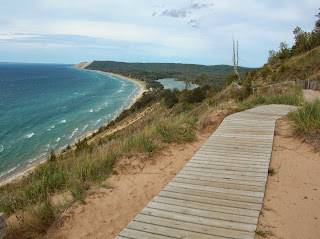 It includes more than 200 miles of scenic views of Lake Huron, including lighthouses and forests. The fall offers views of the splendid Michigan foliage while the summer provides the chance to stop for a swim in Lake Huron at one of the beaches along the route. Porcupine Mountains State Park in the U.P. offers camping, trails for hiking and mountain biking and many other outdoor activities. The park includes more than 60,000 acres of wilderness, including virgin timber and secluded lakes and rivers. Black bears, deer, timber wolves, river otters and moose can be found in the park. The Henry Ford Museum and Greenfield Village, collectively known as the Henry Ford, are an indoor and outdoor museum complex in Dearborn. The museum's exhibits include a presidential limousine collection, steam engines, early airplanes, Rosa Parks' bus and much more. Greenfield Village is a collection of famous Americans' homes, including Noah Webster's home and the Wright Brothers' bicycle shop and home. The buildings were purchased by Henry Ford or donated to Greenfield Village and were taken apart and moved to Dearborn where they were meticulously reassembled. In addition to the homes, the village has craft buildings where visitors can watch glass-blowing, pottery making and other pre-industrial crafts. The Frederik Meijer Gardens and Sculpture Park is on every list of the top things to do in Grand Rapids. The botanical gardens and sculpture park encompasses 132 acres. Meijer Gardens opened in 1995 and offers multiple gardens, both indoor and outdoor. In 2015, it will add a Japanese garden to its collection. Meijer Gardens hosts cultural events throughout the year, including a summer concert series. For days 53 to 78 click here.